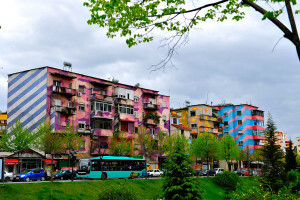 During the Cold War, The Block in Tirana, the capital city, was Albania’s best kept secret, a walled enclave filled with gardens and the ‘good life’ for those who were allowed to enjoy communism. The region in the center of the former communist metropolis was not even listed on the map and armed guards were posted along the perimeter, preventing the desperate public from seeing how good the dictator, Enver Hoxha, and his cronies, had it. 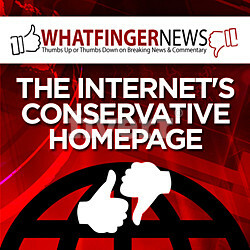 That all changed with the fall of the totalitarian state in the 1992 elections, only a little over two decades ago. 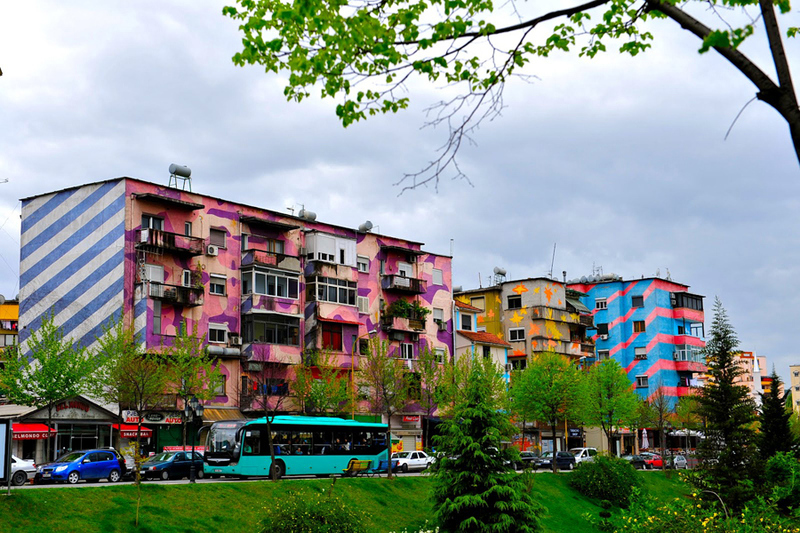 The first thing the people did was paint all the surrounding, decrepit buildings in bright colors which remains today, a real rainbow revolution. 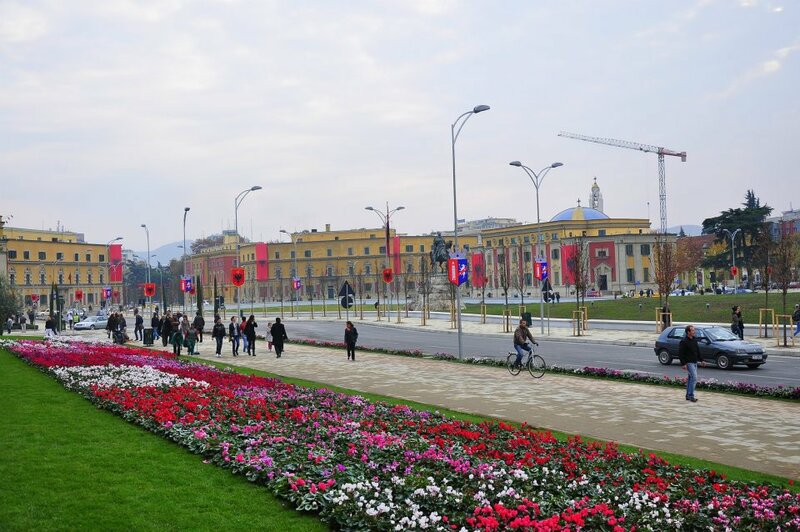 The entire area, including Sheshi Skënderbej square in the center, has been transformed into a youthful, vibrant, cosmopolitan nirvana for the locals. Tourists have started to discover the area as well, with Albania enjoying a steady yearly increase in visitors, flocking to the majestic mountains and the beautiful, untouched beaches. 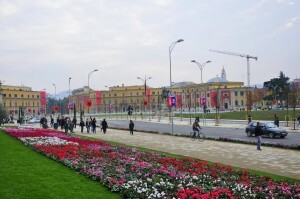 Tirana has partaken in this tourist uptick as well. 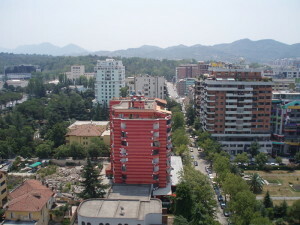 Upon arrival in the city from the airport, I was dropped off at the Tirana International Hotel to speak at a conference. The hotel is very nice, upscale, and the food is very good. The morning breakfast is bountiful and the view from the balcony overlooking the square in the morning is quite nice. Cafes, bars, restaurants line the streets in the Ish-Blloku, commonly known as ‘The Block.’ The night life rages throughout the clubs and spills into the streets. Food can be found anywhere, local cuisine or foreign. Many new exclusive flats house the new Albanian elite. The one downside is that the area has become much more expensive than the rest of the country. However, for the quality of the experience, it is still quite less than other Western European travel destinations. 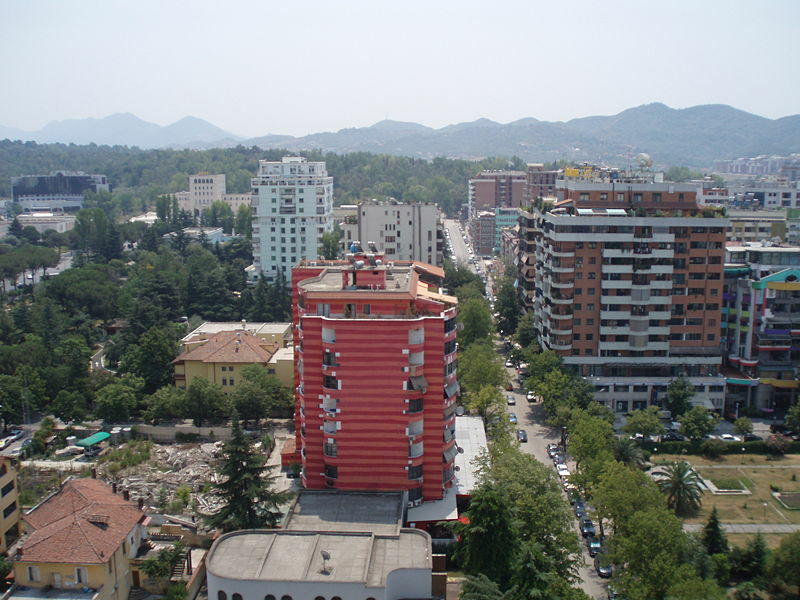 Many Albanian ex-pats are returning to the opportunity provided with the success of the old communist enclave. New clubs or bars seem to spring up overnight on every corner. I heard rumors of safety issues. Kidnappings of wealthy family members for ransom is a concern. There are always the tales or organ harvesting that go with any other ex-communist country. However, in the center, ordinary street crime did not seem to be any more dangerous than any other city. 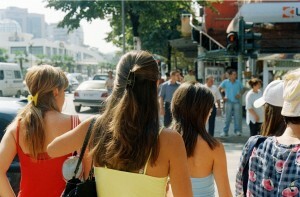 Just be careful and walk around with a friend. Perhaps one concern for tourists would be the lingering political instability in the country. Demonstrations in Sheshi Skënderbej square are quite common with thousands of Albanians demanding a better life, one free of corruption. All in all, however, I enjoyed the visit and would return. 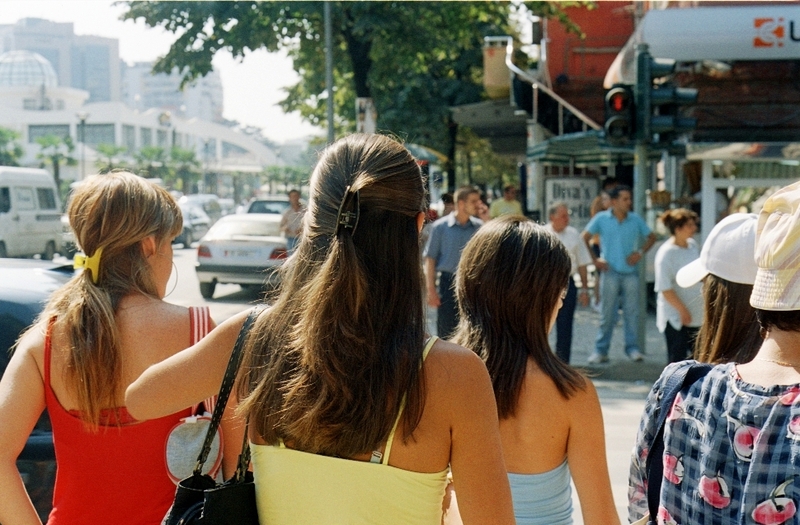 If you’re like me that enjoy finding the undiscovered jewels of the world, then Tirana is definitely worth the trip! Lukashenko: Thank God For The Snow!